A student who stabbed a man in the eye with a Christian Louboutin stiletto heel leaving him with serious injuries has been sentenced to 18 months imprisonment. 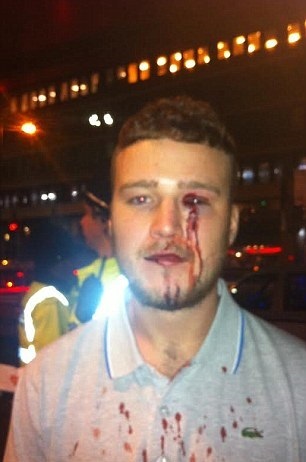 Shadiya Omar, 22, of Whalley Range, attacked Justin Lloyd, also 22, after he began arguing with her friend as they both waited for a taxi home after a night out in Manchester city centre. Manchester Crown Court heard Mr Lloyd, from Blackley approached Omar's friend outside the Mercure Hotel in Piccadilly Gardens on October 18, 2014. The court heard there was a dispute between the women and Mr Lloyd's group of friends as she attempted to get in a black cab. Police arrived to the scene and Omar was arrested in a room at the Mercure Hotel where her boyfriend had been staying. Mr Lloyd was treated at Manchester Royal Infirmary and later the Manchester Eye Hospital for injuries to his left eye. The court heard miraculously he did not lose his eyesight, but still suffers with stabbing pains and the psychological after effects. A victim impact statement read out in court said he was forced to quit work as a labourer and has become conscious of his scarred eye. Defending, David Morton, said Omar, who pleaded guilty to unlawful wounding, had only removed her shoes because they were hurting and was not intending to use them as a weapon. He told the court she was only brandishing the heel to stop Mr Lloyd hassling her friend, with no motive to actually strike him in the eye. Judge Lindsey Kushner QC sentenced Omar to 18 months imprisonment, suspended for two years. Omar must also complete six months of unpaid community work and supervision, as well as pay a £100 victim surcharge fee.